Ron Alley is now the sole finalist for the Scappoose School District superintendent position, but the school board has yet to offer him the job. Alley is currently serving as interim superintendent of the district. He was appointed to the interim position last year, after the abrupt resignation of former Superintendent Stephen Jupe. Alley, who serves as the district's director of curriculum, instruction, and secondary education, was one of two finalists for the position. Earlier this week, however, the school district announced that the other finalist, Jim Shank, had accepted a position with a different district. School board directors met in executive session twice Wednesday evening to discuss the ongoing superintendent search, but took no action. Prior to the meetings, directors received an anonymous letter urging them not to hire Alley. The letter, drafted by four women who claim to have worked with Alley in a professional capacity, alleges "sexist discrimination and harassment" on behalf of Alley, characterizing him as "a sexual harassment lawsuit waiting to happen." The letter accuses the interim superintendent of "blatant disregard for input of women over which he has power" and suggests the district official has used "bullying strategies toward female employees" and requested "dinner and dates [from] those whose careers he can affect, and even destroy." he and other directors received. "As for the letter, we can't respond to anonymous claims against any employee of our district," Lager stated via email Thursday morning." We do have a formal complaint process and policy in place." Alley said late Wednesday evening he was unaware of the letter submitted to the board earlier that day regarding alleged misconduct. He declined to comment on the letter, but grimaced in shock, noting, "that could ruin someone's career." Alley met with district parents and constituents Wednesday evening for a meet-and-greet session, hosted by the school district. Roughly 16 residents — mostly parents with kids in the district — showed up to ask questions of Alley and provide feedback and suggestions. "I'm a hands-on leader," Alley said. "I've been in education for 28 years." When asked to describe his management style, Alley replied, "transparent." 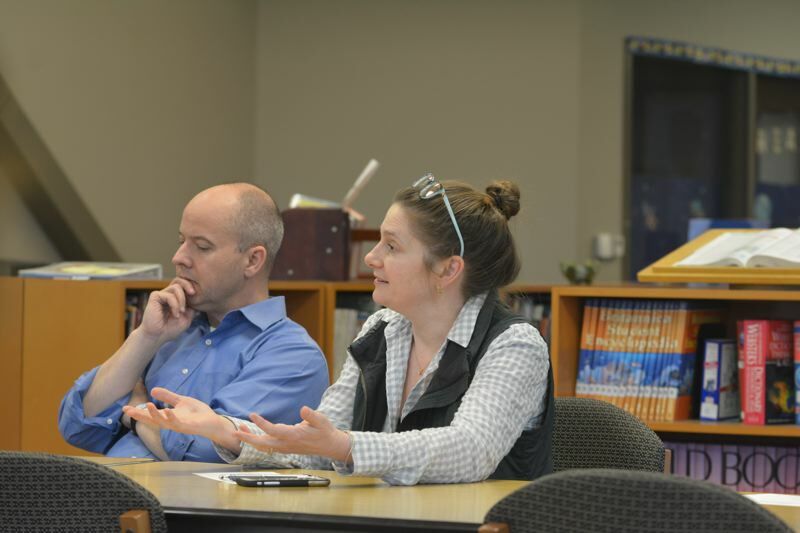 While some parents lauded new communication tools being employed by the district, one parent voiced frustration over Scappoose High School's response to a planned walkout protest by students, following the deadly shooting at a Parkland, Florida, high school. The parent said students who participated were disciplined with mandatory Saturday school detention, which wasn't made clear to students or parents when the district acknowledged the walkout in an email to parents. Alley said the district handbook does clearly lay out a disciplinary guideline for unexcused absences. Despite the rub, he said he was pleased with how students handled the peaceful protest. "The students, the 58 of them, they were fantastic," Alley noted. "Every student that stood up and walked out knew what the consequences were. I think that says a lot that they were willing to [face the consequences.]" 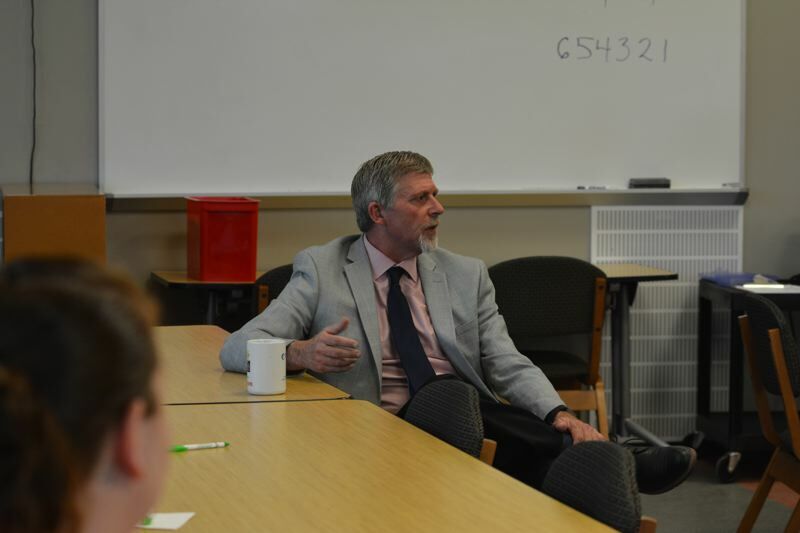 Regarding long-term goals and vision for the district, Alley gave his own ideas for how the district could better align students with emerging technology and better prepare them for college and long-term success. and a deep sense of accountability. "I think what our district needs is some consistency at the helm," a Scappoose mother told Alley. "We're going to be experiencing a lot of growth and changes over the next 10 years." This story has been updated from a previous version to accurately reflect the timeframe in which school board directors received an anonymous letter concerning Alley.